A drama offering hope amidst despair, What's Eating Gilbert Grape benefits from an outstanding Leonardo DiCaprio performance, and a story that never gives up looking for silver linings. 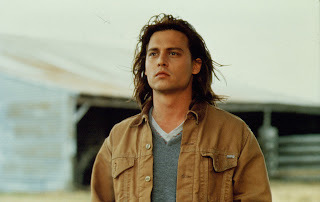 In the small rural town of Endora, Iowa, Gilbert Grape (Johnny Depp) is a young man struggling to maintain some semblance of sanity in a challenging household. Ever since his dad disappeared (and maybe committed suicide), Gilbert's mom Bonnie (Darlene Cates) has collapsed into morbid obesity, and has not left the creaky house in seven years. Gilbert is one of the few people who can manage the erratic behaviour of his severely mentally retarded younger brother Arnie (DiCaprio), who is about to turn 18 and living on borrowed time according to all the doctors. Of his two sisters, the older Amy (Laura Harrington) does her best to help run the house, but the younger Ellen (Mary Kate Schellhardt) is a self-obsessed young teen, with an uncanny ability to make every bad family situation worse. As an escape valve Gilbert is carrying on an affair with Betty (Mary Steenburgen), a frustrated older woman married to an insurance agent. He also has a couple of friends, including Tucker (John C. Reilly), who dreams of opening a burger franchise, and Bobby, the town mortician. But the arrival of Becky (Juliette Lewis) in Endora ignites Gilbert's attention, and he starts spending more time with her and viewing his family in a different light. In his breakthrough role at 18 years old, DiCaprio delivers an astonishing performance as Arnie Grape. Portraying damaged four year old behaviour in the body of an adolescent, DiCaprio moves with ticks, quirks, and unconstrained physical abandonment. He is also prone to frequent outbursts, endless loud repetition of the most childish of phrases, and the most convincing temper tantrums. Yet there is a heart deep within the retarded child, and it emerges in flashes, most often near the calming influence of Becky and away from the chaotic Grape household. Johnny Depp's portrayal of Gilbert is equally perfect, for different reasons. Depp's eyes tell the tale of a young man barely holding his family together, and burying deep within himself the sorrow and anger at the loss of his father and embarrassment with his ballooning mother. It's an enforced transformation to premature adulthood for Gilbert, and a demonstration by Depp that he is capable of complex, layered roles. Becky is almost too perfect, the young woman proving to be an ideal antidote to all of Gilbert's problems, patient, understanding, loving and accepting of all the extreme eccentricities surrounding the Grape household. Becky is nothing but a good influence, a positive force in the movie but also a role that Juliette Lewis can do relatively little with. Director Lasse Hallstrom, working from Peter Hedges' adaptation of his own novel, makes excellent use of the rural location to maintain a quiet and dignified environment despite the chaos surrounding Gilbert. Hallstrom deftly works the film towards the modest conclusion that the Grapes are no different than any other family, individuals dealing as best as they can with a set of challenges. There are several parts of the Grape household that are on their last legs, but perhaps not the obvious ones. By the end Gilbert does well to make peace where he needs to and arranges an appropriate joint farewell to the family members who need to move on. 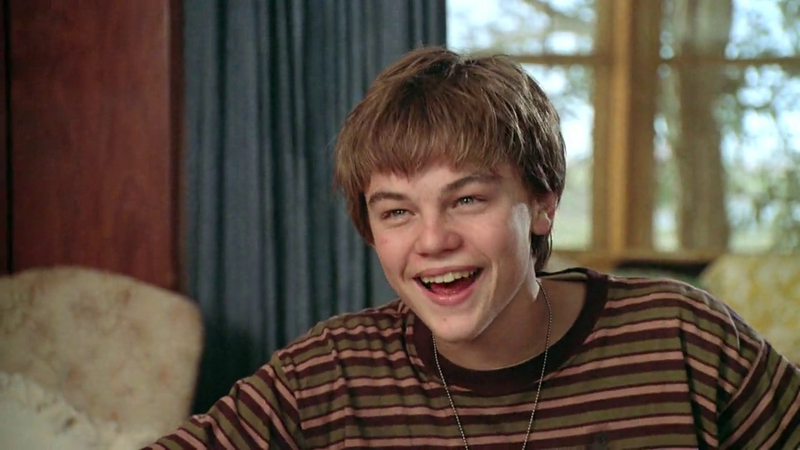 What's Eating Gilbert Grape is moving without being emotional, grounded without being overly dramatic, and serious without ever losing touch with the hope for a better tomorrow that beats solidly within every character. Nothing and everything is eating Gilbert Grape: he is getting on with life and doing a fine job.